This is the Eurythmics live in 1999. For those who like all the details regarding the concert or bootleg on this occasion for me, it's a bit thin on the ground regarding this one. The Eurythmics undertook their 'Peace' tour from September 1999 taking in Europe, USA & the UK before the end of the year. It's from one twenty six concerts they performed that year, feel free to add any further details in the comments section below. Genre: New Wave, Pop, Rock. Links: Official site HERE. 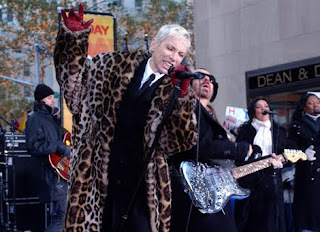 Annie Lennox HERE. Dave Stewart HERE.